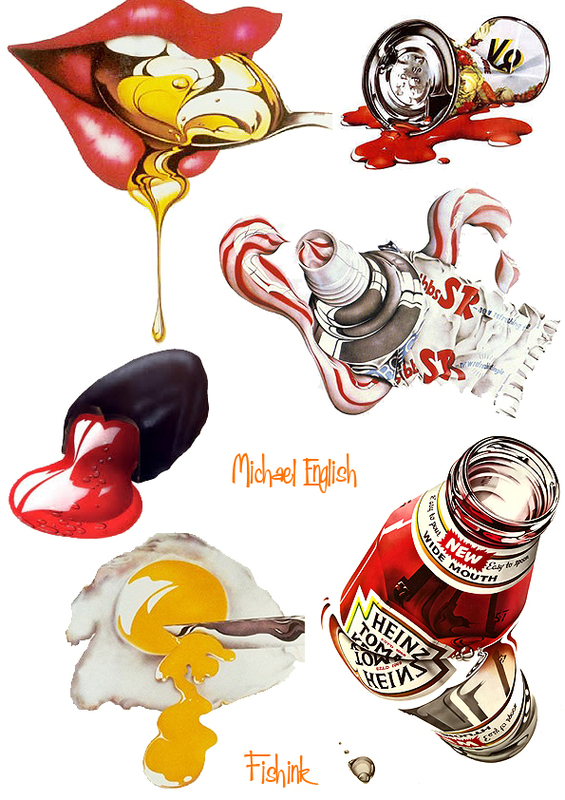 Michael English From Pop Art to Hyper Realism. 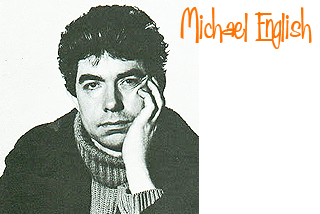 Michael Jeremy English was born at Bicester, Oxfordshire, on September 5 1941 and educated at boarding school before going on to Ealing School of Art, west London, where he studied under some of the leading British avant garde artists of the day. After graduating in 1966, he embraced the hippy movement that was then starting to hit London. He painted the shop fronts of two of the most famous boutiques of the era, Hung On You and Granny Takes a Trip, both in Chelsea. 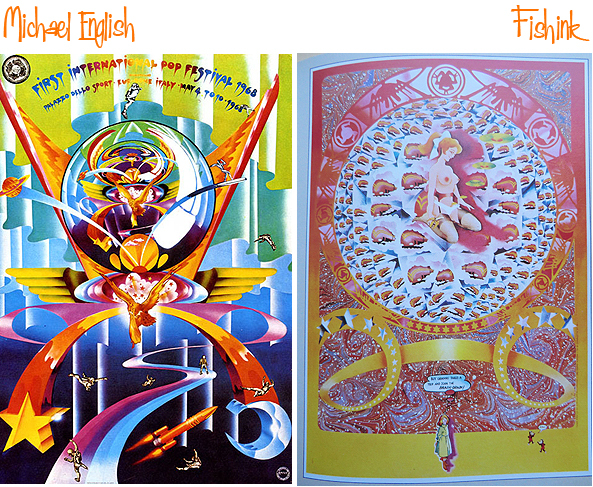 With Nigel Waymouth (a partner in Granny Takes a Trip), he also produced psychedelic posters under the name Hapshash & the Coloured Coat. 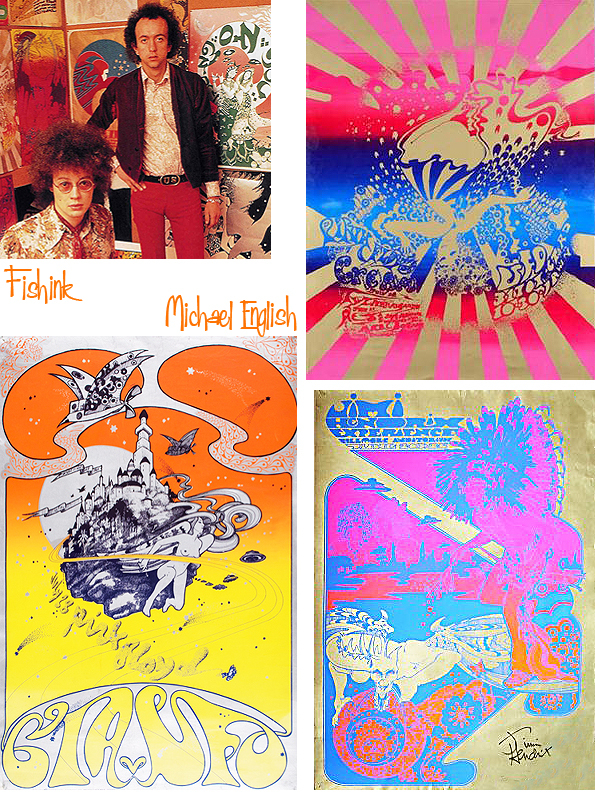 Some of the posters were used to promote gigs by bands such as Pink Floyd, Jimi Hendrix and Soft Machine. From the beginning they both understood what each other had to offer and, in sharing their talents, they were certain that they could produce a style that was both unique and exciting. English’s talent lay in his ability to balance an unrivalled attention to detail whilst creating the most fluid designs. 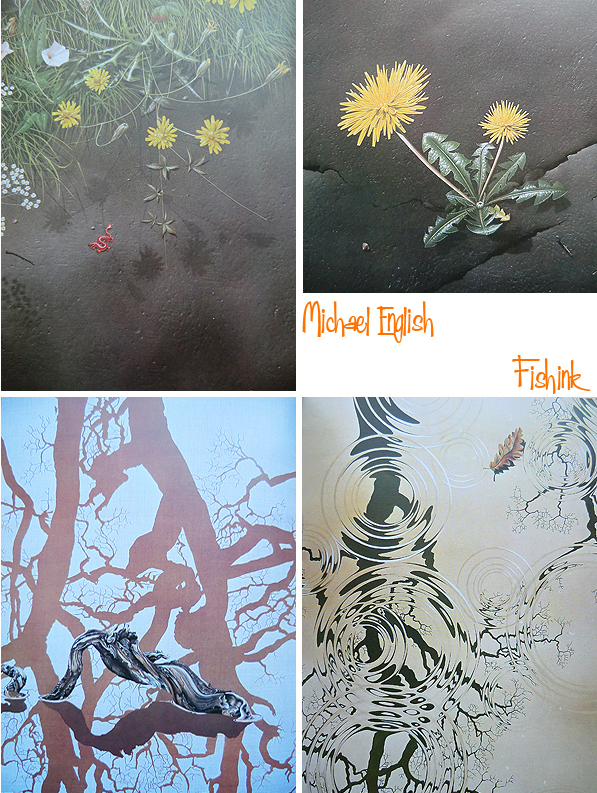 Waymouth brought to the work a strong imagination bursting with romantic ideas and a facility for figurative drawing. Their very strong sense of colour was also important, given the cost limitations and the strictures of the silk-screen process. At a time when the prevailing fashion was for an indiscriminate use of rainbows and any clashing colour combination, they strived for maximum colour effect without sacrificing balance and harmony. To this end they introduced numerous innovations that have since become common practice. Expensive gold and silver inks had not been used much on street posters before but they made it a regular feature of their designs. English and Waymouth also pioneered the technique of grading one colour into another on a single separation. 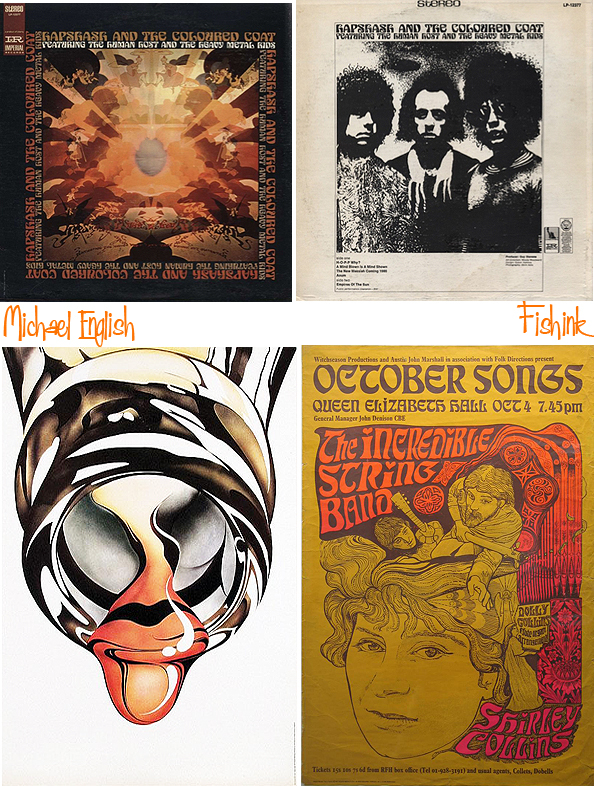 The effects were startling, bringing an explosive vitality to the fly posters on the London streets. Nothing like it had been seen before or since. Looking at a whole block of some twenty or thirty of a single Hapshash poster was a powerful visual shock. It was not long before people began to tear some of them down in order to decorate their own walls. 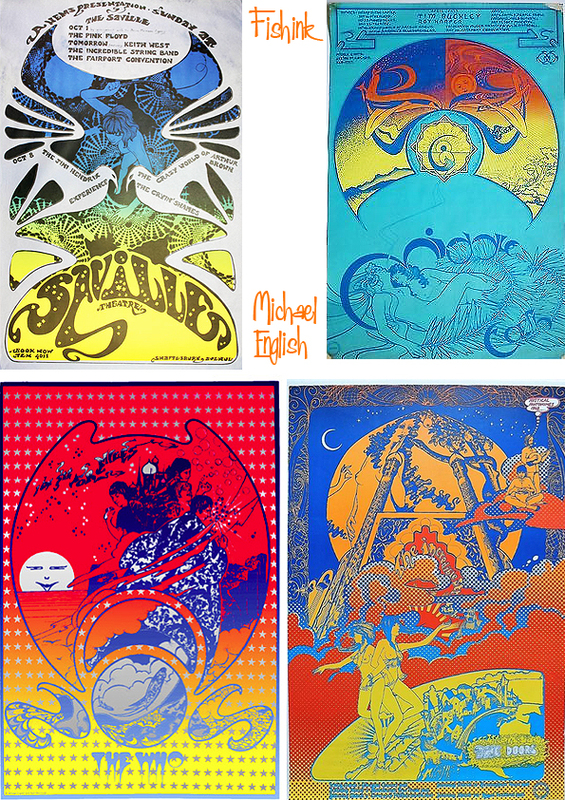 It was eye candy to match any psychedelic experience. 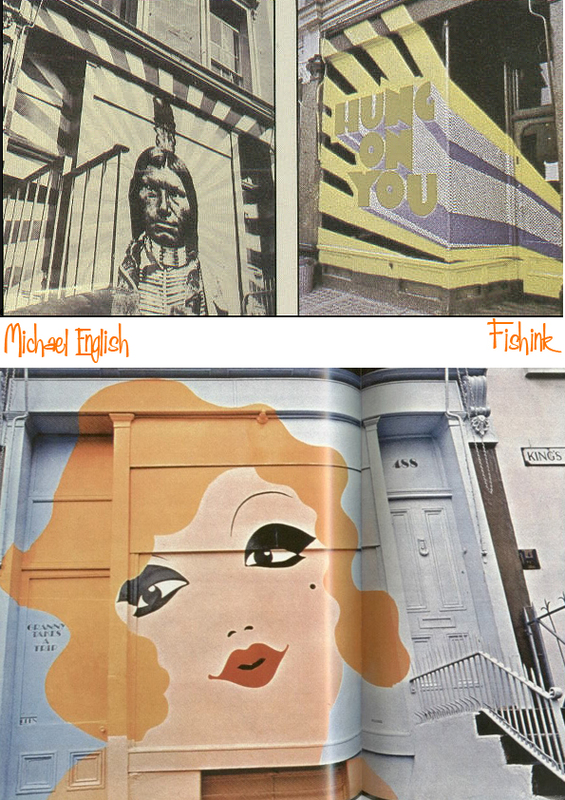 In hindsight, they now realise that what they had done was to bridge a gap between Pop Art and tagged graffiti. The posters often contained subversive elements, including sexually explicit graphics, mystical symbols and dissenting messages. They regarded each poster, whatever it was promoting, not only as an aesthetically pleasing design but also as a pro-active concept. They got away with it because the posters were so charming to look at and the contents, including the words, required closer attention than people could give at first glance. Their immediate audience was the younger generation, sympathetic to the spirit of the times but they also wanted to brighten the lives of people going about their everyday business on the grey streets of London. In 1967 English and Waymouth released an album, Hapshash and the Coloured Coat: Featuring the Human Host and the Heavy Metal Kids. By the early 1970s the hippy movement was all but dead, and English ventured into other avenues. 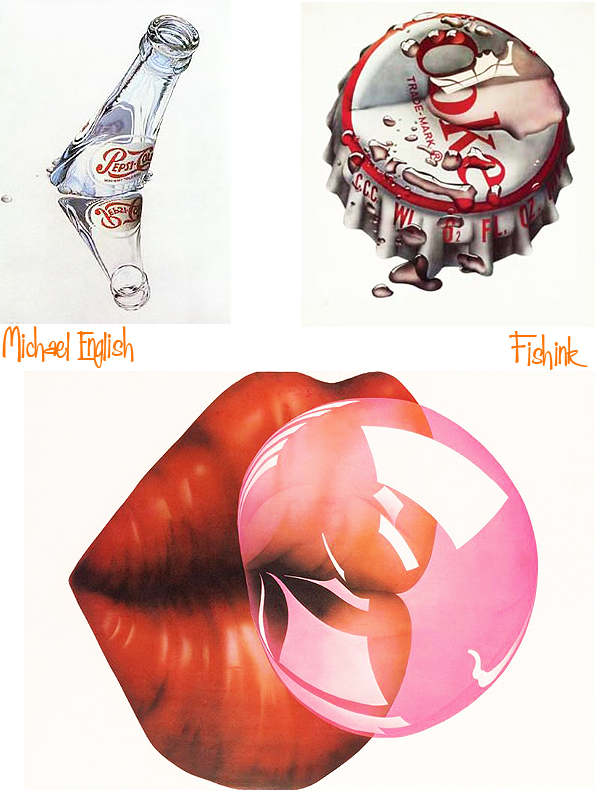 He produced limited edition prints for mass production, which sold incredibly well and in 1973 began to paint, abandoning the hyper-realism of the prints and concentrating on the dichotomy between man-made products and the natural world. 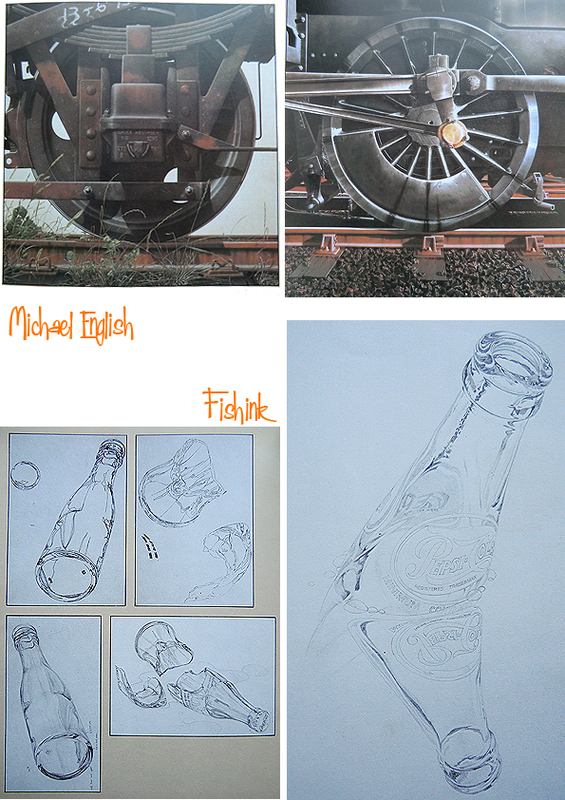 During this period he created minutely-detailed close-ups of machinery, as in Fanjet (1978); sometimes the man-made objects were treated as pollutants, as in his painting No Deposit, No Return (1979), in which a fractured Coke bottle litters a rich green background of vegetation and small stones. In 1978 he created sets for the Ballet-Théâtre Contemporain at Sadler’s Wells. In 1988 English made the first of several visits to the island of Praslin in the Seychelles, where the rainforests became a new inspiration for his painting. With his wife Jaki, he took photographs which were later worked up into acrylic paintings on canvas. By the end of his life he had completed about 20 of these pictures, which he viewed as the most important project of his later career. To finance it he had produced dramatic and colourful advertising posters for some of the world’s leading companies, among them Swiss-Air, British Airways, Porsche, McDonalds and Bertolli. 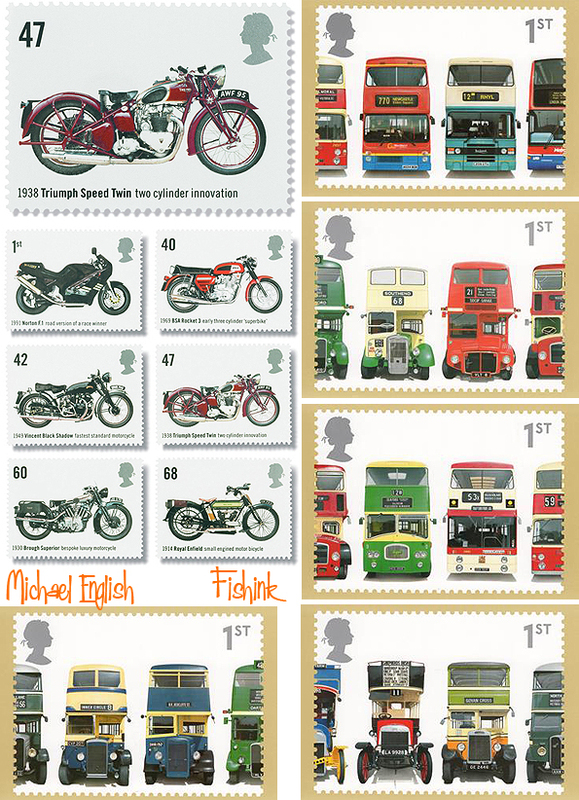 He also created two sets of stamps for the Royal Mail, one based on early buses and the other on old motorcycles; both sets proved highly popular with collectors. In 1995 English was invited by the BBC to take on the role of artistic director for a projected serialisation of Mervyn Peake’s novel Gormenghast. For the first time he was working with digital imaging, and he scanned in concept paintings to build virtual sets and landscapes within which the actors would perform. The mounting costs of this complex process, however, forced the BBC to call a halt to the project. 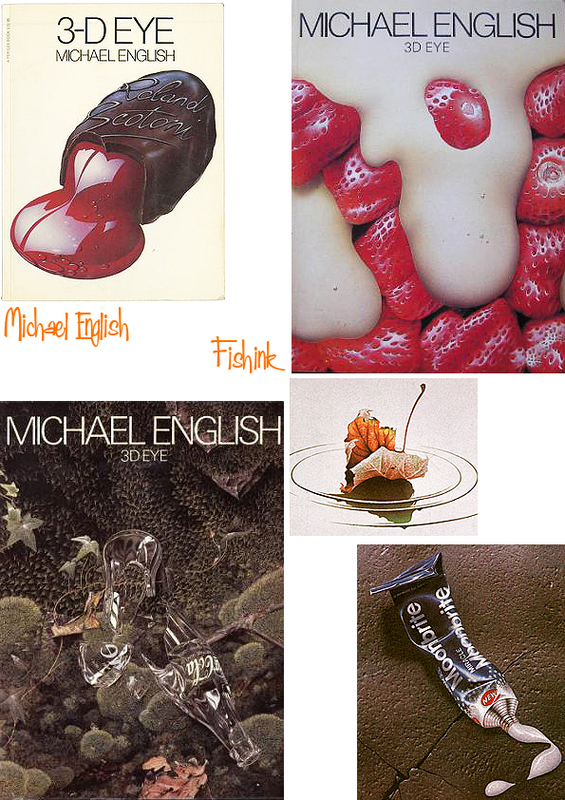 Examples of English’s work are held by the Arts Council, the Victoria & Albert Museum, the Museum of Modern Art in New York, the British Council, and the Victoria and Albert Museum, which in 2000 mounted a retrospective exhibition of his work with Nigel Waymouth as Hapshash & the Coloured Coat. 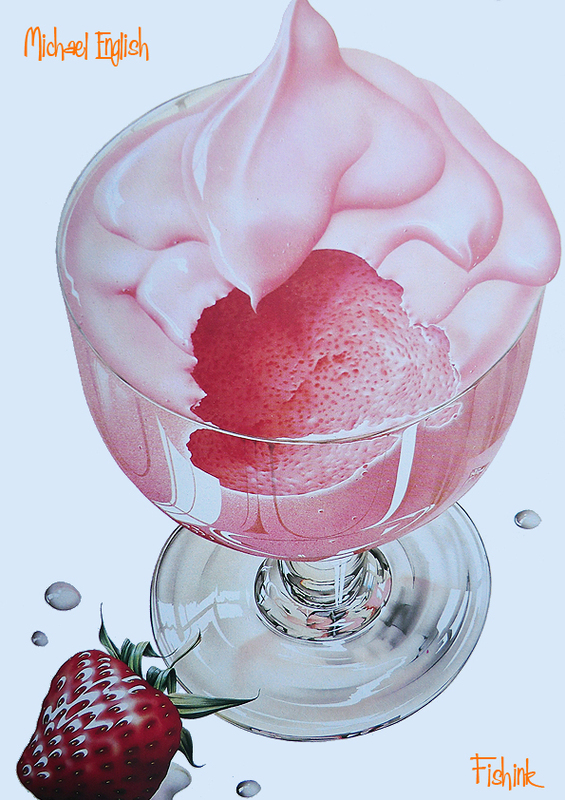 He published a book about his work, 3-D Eye (1979), and The Anatomy of Illusion (1989), a short volume about airbrushing. English was still working until the last week of his life, busy with inkjet silk screen prints which feature a poem by the beat poet Allen Ginsberg. Michael English is survived by his wife Jaki (née Abbott), whom he married in 1983. Thanks to Bamalama Posters, the Telegraph and John Coulthart for their thoughts about Michael, that made this post possible. I forgot to ask – could I do a post about you on my blog?